Oil, fuel and air filters. 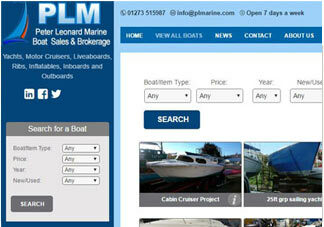   Bilge pumps,skin fittings,etc.   Nuts, bolts, screws & fixings. To Download a printable PDF of Traffic Signal info below - Click Here! The following signals apply to all vessels, commercial and pleasure,irrespective of size or type. When red lights are showing on signal mast, situated at the North End corner of the marina, NO VESSEL(S), commercial or PLEASURE, may leave any part of Newhaven Marina. When red lights are showing on signal mast, situated at the North End corner of No.2 Ro_Ro Pontoon, NO VESSEL(S), commercial or PLEASURE, may proceed South past these lights. Vessels under pilotage, either by an 'Authorised Pilot' or by the holder of a 'Pilotage Exemption Certificate' navigating through the Swing Bridge have the right of way in ALL circumstances. ALL OTHER VESSELS MUST KEEP CLEAR OF THE NAVIGABLE CHANNEL. At times of Swing Bridge openings no vessel should attempt to pass through the Swing Bridge without permission of the Bridge Control Operator. Vessels not equipped with VHF radio must keep clear until Commercial vessels have passed through. 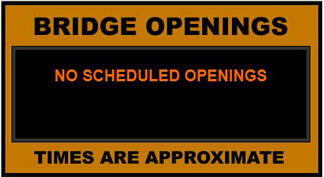 Only then may they proceed in accordance with the Bridge Control Tower light signals. Owners of small vessels can ascertain Swing Bridge opening times by contacting 'Newhaven Radio' VHF Ch. 12 or telephone 01273 612926. Failure to comply with the 'Vessel Traffic Signals', as detailed, could place people and vessels in danger and may therefore result in prosecution and/or termination of your berthing agreement/future use of Newhaven Harbour. Click 'I agree' to accept these terms and close this banner.